SARAH Palin tells Dr. James Dobson, of Focus on the Family, that she is confident God will do “the right thing for America” on voring day. God, or course, has already anointed Barack Obama. 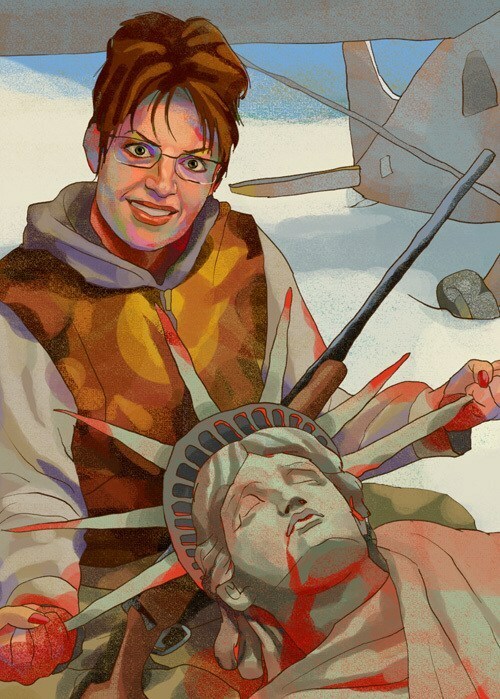 Palin might find that the right thing sees her sent back to Alaska. In the UK press, Palin is the cover girl of the day. And offers in the region of $1million to get her out of them.